36. Single-Stranded Pearl Necklace: This lovely, elegant necklace of round pearls is a staple in Mary's jewelry wardrobe. 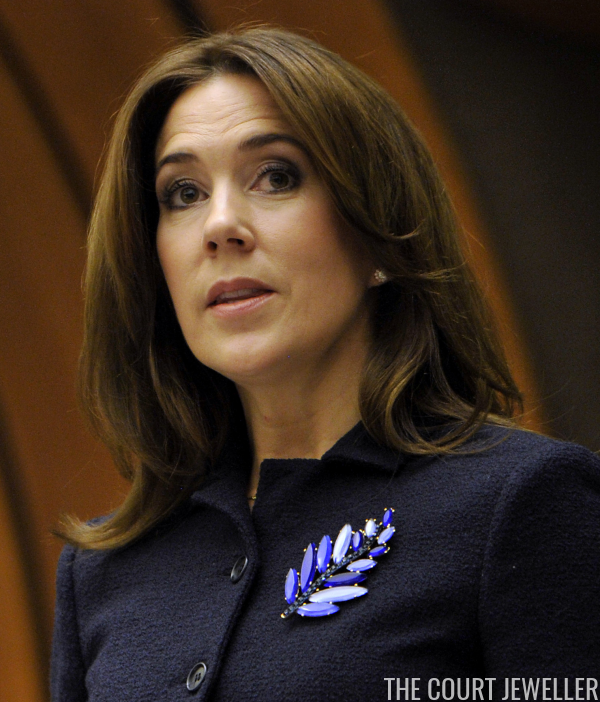 Above, she wears it during the celebrations of Queen Margrethe's 75th birthday in April 2010. 35. 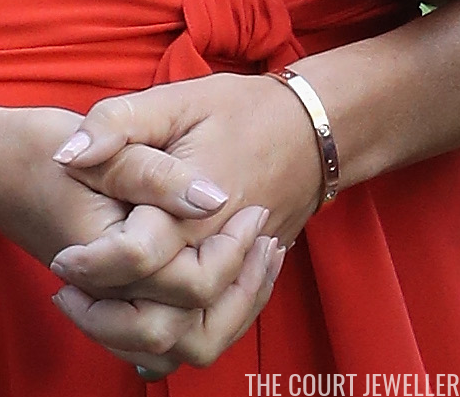 Cartier Love Bracelet: Like so many royals, Mary wears one of Cartier's classic Love Bracelets. You can spot the bracelet on her left wrist in the photo from Royal Ascot in June 2016. 34. Oscar de la Renta Leaf Brooch: This brilliant blue leaf brooch from Oscar de la Renta accompanied Mary to the regional review meeting of the status of women in the UNECE region in Geneva in November 2014. 33. 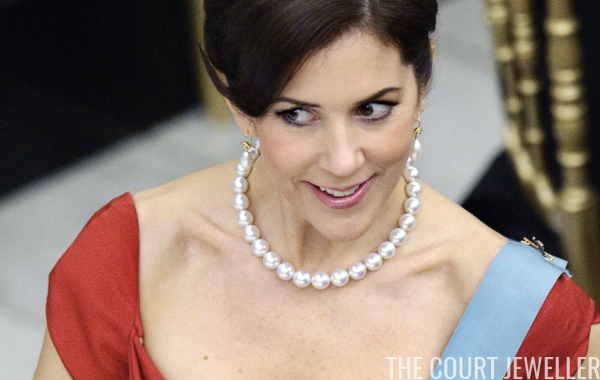 Dulong Gray Pearl Earrings: Mary often wears this pair of gorgeous diamond and gray pearl earrings by Dulong; here, she wears them during a visit to Mexico City in November 2013. 32. Three Pendant Statement Earrings: Mary wore this pair of eye-catching statement earrings at a charity dinner in Melbourne in November 2011. 31. 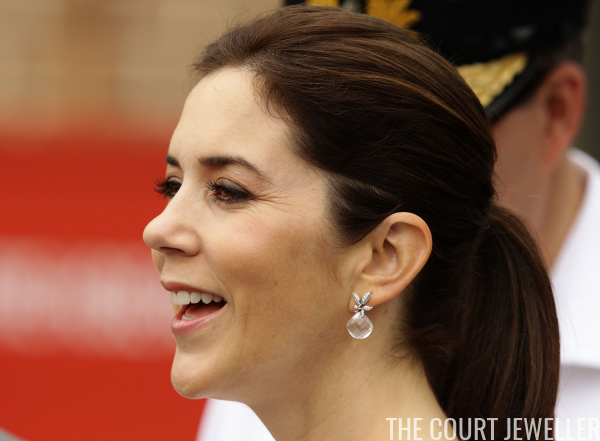 Portuguese Gold Filigree Earrings: Mary has worn this show-stopping pair of golden filigree earrings for several occasions, including an awards show in Copenhagen in October 2016. 30. Lynggaard Briolette Drop Earrings: This pair of lovely Ole Lynggaard Copenhagen earrings, which feature a diamond leaf stud and a large briolette drop, were Mary's choice for a barbecue in Sydney in November 2011. 29. 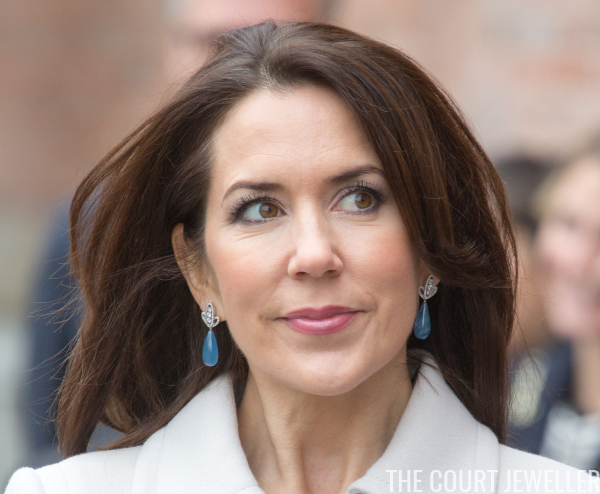 Dulong Blue Drop Earrings: Mary wore this versatile pair of blue drop earrings from Dulong for a state visit from the President of Mexico in April 2016. 28. 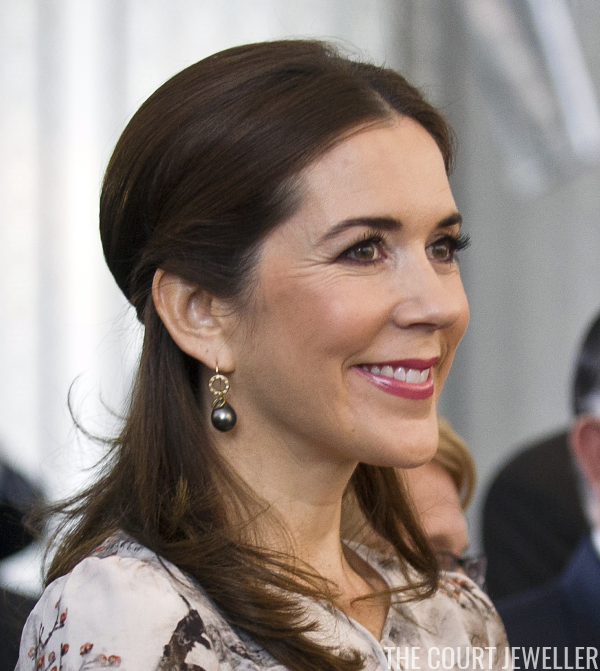 Dulong Diamond Earrings: Mary mixed and matched at Princess Madeleine's wedding in June 2013, wearing her Midnight Tiara with this pair of modern diamond earrings from Dulong. Stop by for more of Mary's jewels on the blog tomorrow afternoon!